At the final day of June of 2017, the 2017 Dalian Summer Davos World Economic Forum has obtained success themed as Achieving Inclusive Growth in the Fourth Inclusive Industrial Revolution. 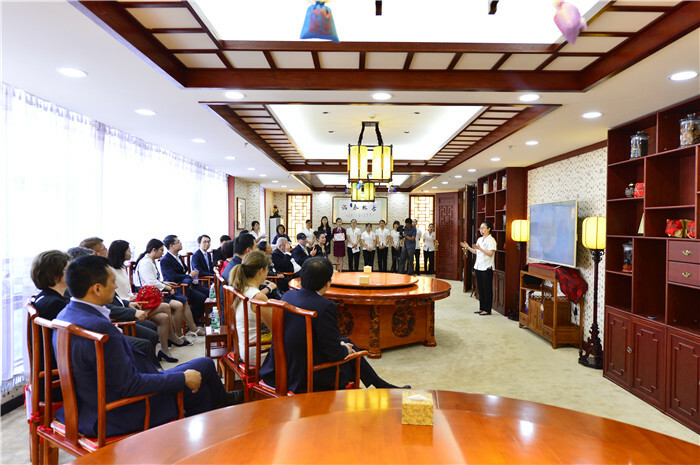 As the hosted city,Dalianalso has obtained the appraised by over 2000 guests of politics, business, learning and literature areas.DalianSun-GoodTCMHospitalalso has lots of appraises by the friends from all around the world as the Chinese cultural tour base of this Davos Forum. 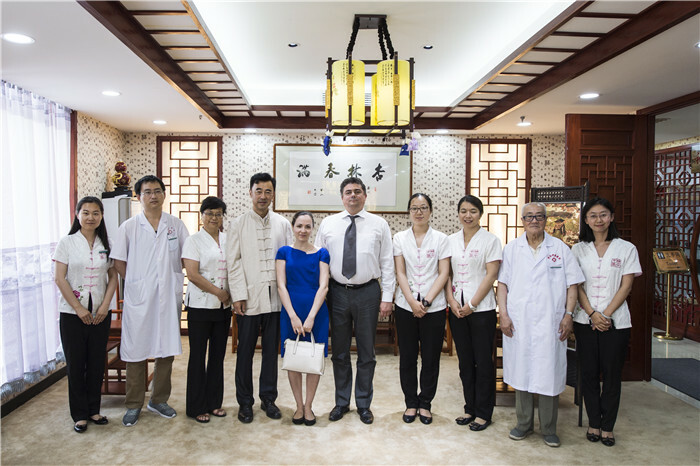 Sun-Good has made great efforts to hold the Chinese medicine experience activity. 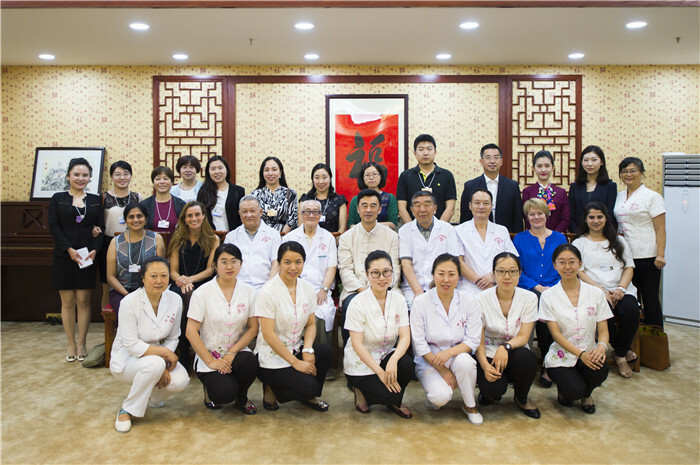 During the period of 26th, June to 29th, June, Dalian Sun-Good TCM Hospital has held five Chinese medicine cultural tour activities for guests from the USA, Russia, Canada, Switzerland, Denmark, Singapore, Israel, Indonesia, Moldova, Thailand, Hong Kong, Taiwan and other countries and regions. The experience activities include visiting the Sun-Good Chinese Medicine Culture Exhibition Hall, tasting herbal tea and herbal desserts and different kinds of herbal dishes, experiencing the Chinese medicine pulse-feeling, and Chinese medicine massage, cupping, acupuncture. Sun-Good has aimed at showing the traditional Chinese medicine with all aspects for every guests that has set the Chinese medicine cultural display area, pulse-feeling area, massage area, acupuncture area, tongue diagnosis area, herbal tea and herbal dish area, video appreciation area. 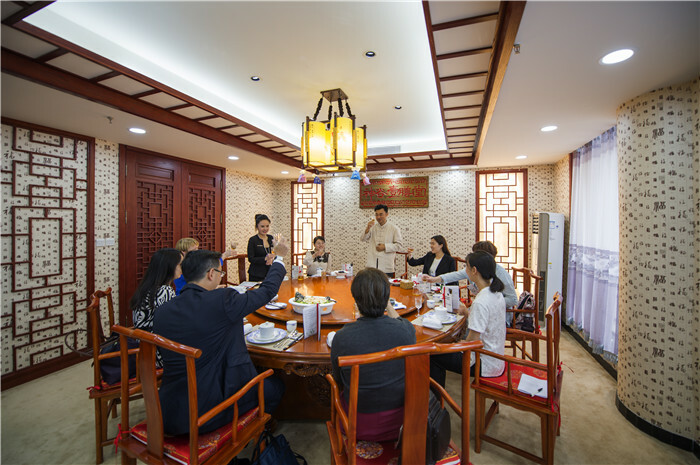 When coming into the Sun-Good, all the guests have the same feeling that it’s all about the traditional Chinese medicine cultural whatever they saw, they listen, they smell, they eat and drink. Chinese medicine has been considered as the essence of nation and the culture of the world. The great wisdom of Chinese nationality creates the Chinese medicine what the world also need. The old Chinese medicine has come out vitality by the efforts of Chinese medicine people of several generations.Sun-GoodTCMHospitalalso lets the Chinese medicine with the political, economic and social cultural exchanges and development betweenChinaand the West go to the World depending on the Davos Economic Forum.